"The staff and associates of Supra is very humbled, and of course also very grateful to receive the Choice Awards, now 8 years in a row, for our high pressure lamps. We are also very thankful for the voting from so many salons again in 2016, more than 4600 voted", says Leif Vasström, Principal at Supra Brands Group. "We will strive to continue the pursuit of excellence in the products' performance, longevity and availability, as they are truly our trademark. It is clear that our distributors and their sales people are doing a great job in promoting the Supra Collection across the nation and Canada. Thank you all." 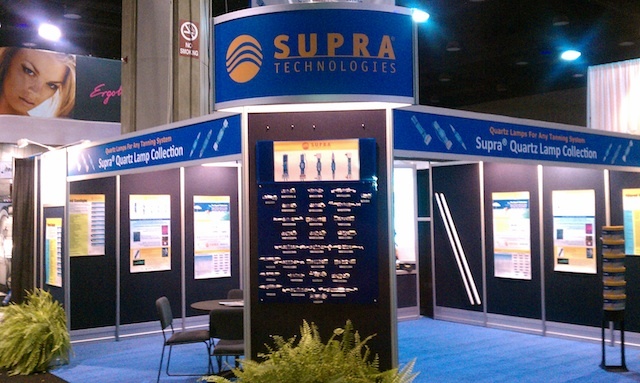 The Supra Lights® Collection - a new dimension in high performance fluorescent tanning lamps. This line comes in 80, 100, 140, 160 &200 watts, and is available both with Bi-Pin and RDC sockets. For compatibility - see chart further down under Products. Click here to Download Online Brochure. Click here to view our Lamp Compatibility Sheet. Please also visit our Lamp section and the pages Understanding Lamps and Our Factory. Please visit our Consulting section.